Hi, Rob here. For most of my life I have wanted to see the Grand Canyon. It looks like next year I’m going to be able to as David and I go to the U.S.A for a Wild at Heart Boot Camp and a bit of adventure along the way. 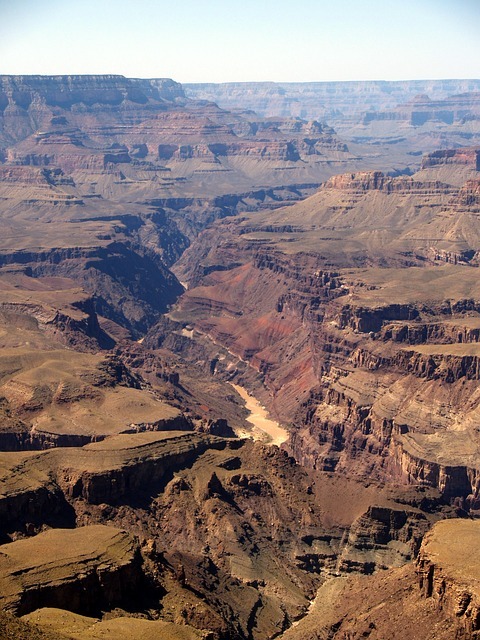 Why the Grand Canyon? Because it’s epic. It’s mindblowing. It’s a reminder at a very profound level that God is God and I am not. At least, that’s what it looks like in photos and on TV. I’ve always loved big scenery; mighty waterfalls, mountains, epic views of the ocean, the Milky way on a clear night and so on. I grew up in the South Island of New Zealand with mountains, blue lakes and large plains before me. God has always been big to me and sometimes I have a real need to feel his bigness. I need to know that there’s more to life than meetings, my morning coffee and household chores. I need to know that the God of the Universe is still mighty and strong and in charge. I need to know that He’s the centre of things and it’s not up to me. We all need to know that, don’t we? So often we make our worlds just small enough so that we can be in charge. Our desire for control can lead us into a life where there’s no room for God. Breaking out of that life is why I seek the bigness of God. It also helps me to reclaim wonder for my heart. I love it when I feel blown away by the wonders of God. A few years ago some of us were helping to fix up a small Christian campsite in the middle of nowhere. Nearby were two banks on either side of a narrow dirt road that were covered in glowworms. The sky was clear and filled with stars and then these tiny glowworms lit up the darkness in a spectacular display. God blew me away. He blows me away when I go to Raglan and stand on top of a high cliff staring out into the vast ocean. He blows me away on the few occasions I get to visit Wanaka or Queenstown and see the contrast between the blue lake and the snow-capped mountains. My God is big and I love him for it. Of course, we also need to know that God is close, intimate and beautiful in the small things. The ones we love notice the little things don’t they? Shells on the beach, wildflowers, a baby’s little fingers are all things that point me to God’s love for intricate detail. He is big and in charge but I can trust him in the small things too. May that be your experience this week and if life’s feeling like the 4 walls are closing in, then get out to the wilderness and experience the bigness of your Creator. You won’t regret it. This entry was posted in Uncategorized and tagged creation, Creator, grand canyon, mighty God. Bookmark the permalink.